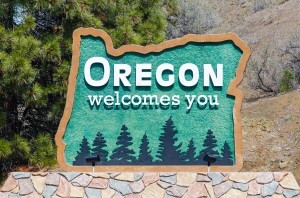 Thinking of Relocating to Southern Oregon? Well, you’re not alone! Over the years, California “Escapees” have turned the Rogue Valley, especially Medford and Ashland into a retirement Mecca ~ chronicled in such magazines as “Where to Retire”, which touted the area again with an 8 page spread. However, the slower pace and great weather aren’t just for retirees, our economic growth has been fueled by families of all ages and sizes looking for a place where “quality of life” is still important and can be balanced with employment and educational opportunities. To help you get a “feel” for what we’re talking about ~ you can click on the link below that will take you to the Southern Oregon Visitor Associations’ site where you will find an abundance of information about our beautiful valley. When I arrived in 1984, I was “sold” by a Realtor who, as I found out later, knew little about the area and even less about things like water rights, land use laws and permitting… and so, I paid dearly to learn the hard way. I do not want that to happen to you! In addition to being active in the Community, President of the Rotary Club of North Medford 2006-2007, involved in land-use planning and consulting, I have earned the NAR designations of ABR, Accredited Buyers Representative; CRS, Council of Residential Specialists; and GRI, Graduate Realtor Institute, of which cumulatively less than 3% of Realtors nationwide hold.